Super powered and stylish, Wakanda's enemies won't stand a chance when you show up in this suit. 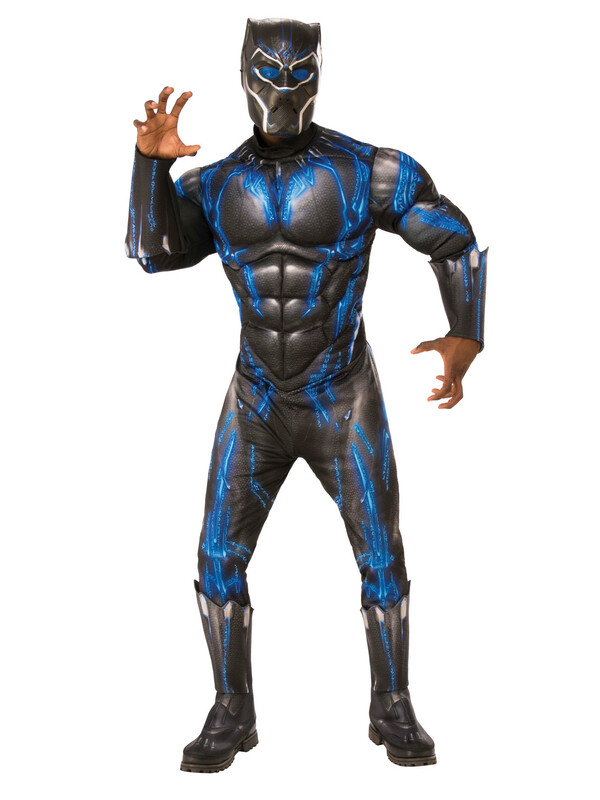 The Black Panther Deluxe Boy Battle Suit Costume is guaranteed to be a hit this Halloween. This officially licensed Marvel set features a full black bodysuit with sculpted muscle chest and attached boot covers, as well as a mask. Check out the rest of our online catalog for more great deals on Black Panther costumes and accessories!